That friend you know that is in school, right now, may not get a job when she graduates. Hold on, does that sound like bad news? Well, maybe. Even if I don’t tell you, it is happening already and everyone is getting so worried about this alarming statistics. But, worry won’t solve the problem, isn’t it? I fact, merely arguing or talking about this won’t even solve it, there is an urgent need to roll our sleeves, get our fingers to the keyboard and do the work that matter. Fash, ‘what do you mean by doing the work that matter’? I shared their how you can put your dreams to work right now, even if you are on a job or in school. I share about how to be a high achiever by making little practical changes in your life. 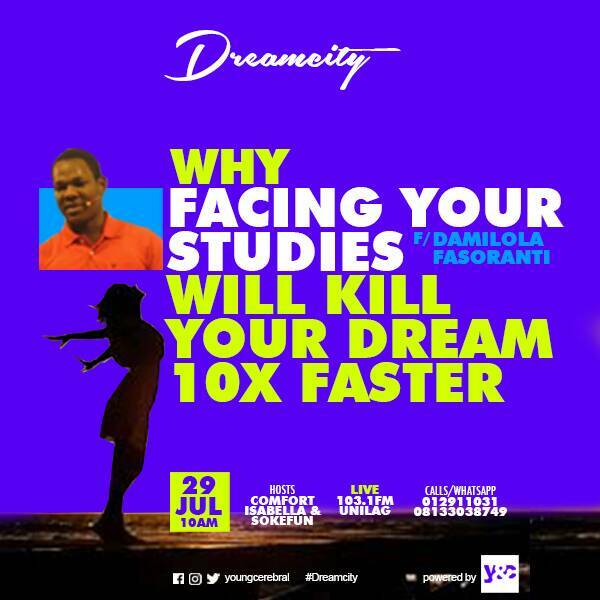 I appreciate the brilliant minds at Dreamcity, unilagfm, Lagos, Nigeria for inviting me as a Guest on the Young And Cerebral Weekly Radio Series. 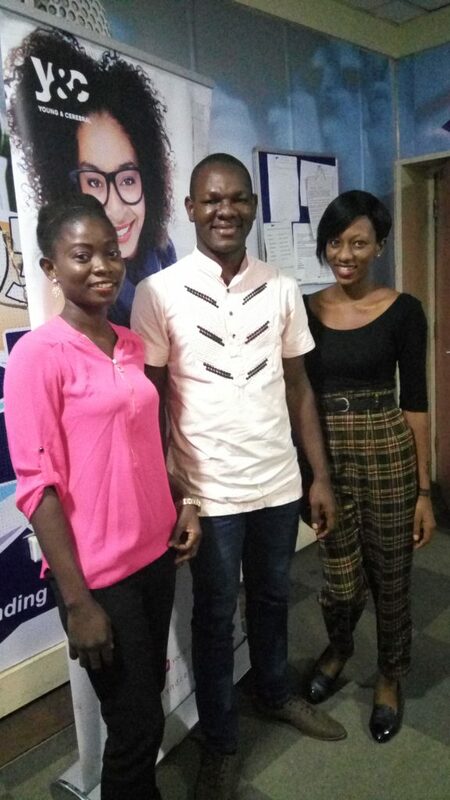 Thank you so much Adewumi Oshodi Tapa, Comfort Uwakhonge and Tolulope Sokefunmi for hosting me. What do you have to say about the things I shared? Jump over tothe comment section and write it there. Am very impressed that u shared this with us. But i still want to know more.